welp, it's snowing here in utah today. actually, it has stopped and the sun is shining as bright as ever but there is lots of snow and slush and flooding around the streets. that's bipolar utah weather for ya. no bueno. i really would like to step back into my sandals already! and i have wet pant legs. forever wet pant legs. that's a curse of being short, having long pant cuffs and when there's any bit of precip, you get wet ankles. that NEVER DRY. sorry. that was a dumb rant. but i hate having cold ankles. 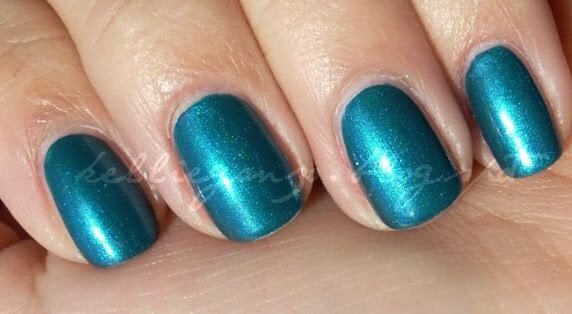 this is a shot of sally hansen insta-dri teal take-off. i've said it before and i'll say it again, i literally HATE these polishes because of the stupid triangle bottles, long narrow necks, and clunky brushes. 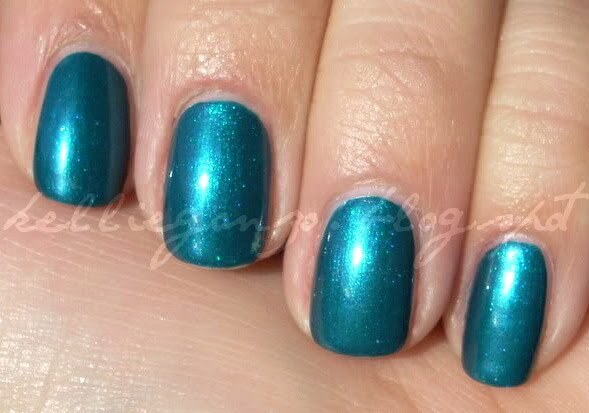 but, this color just called to me. so i got it. and ya know what? i didn't even have that much trouble with application. two coats. this monstrosity is from hot topic, as you can see from the trademark skull "poison" style bottle (which is adorable). i saw this on steph's closet and HAD to have it. these don't have names on them (grrr) but steph called it Hot Pink Iridescent Blue Violet Glitter and someone told me the hot topic website sometimes has them listed, but i'm too lazy to see if they match up. the polish has truckloads of glitter and heart pieces in it. o.m.g. flash overload. pretty much one of the worst formulas i've ever worked with, smelled of fresh asphalt, thick, chunky, awful awful awful. and i couldn't stand wearing it more than half a day. this is four coats with two coats of seche vite because of the horrid texture. i even tried mattifying it with essie's matte about you to try and make it more presentable. didn't help. ewww, i didn't even make the edges presentable, GROSS. i kinda can't believe i'm showing you this. forgive me. look away. hurry. this pretty deep blue is ulta's professional blue for you. nothing really special or unique about this guy. *yawn* i don't get why this is toted as "professional" and their other line isn't. probably something to do with the ingredients. but honestly, when you sell them in the same place, imo it doesn't matter. plus all the professional ultas that i've tried have been kinda lacking in pizazz. this is three coats. i'm off to sleep during my lunch hour. YESSSS. with wet ankles. boooo.